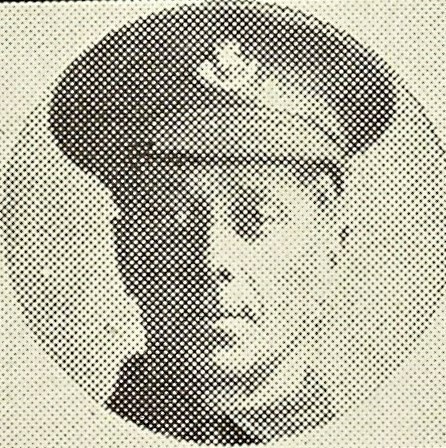 1st Bn, The King's Shropshire Light Infantry, 16th Brigade, 6th Division, B.E.F. 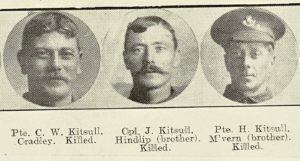 News received Malvern on the 19th May 1917 of the death in action of Pte George Henry Kitsull, KSLI who left a widow and three children living Cowleigh Road. Before the war Mr Martin Wilesmith of Malvern Link employed him. 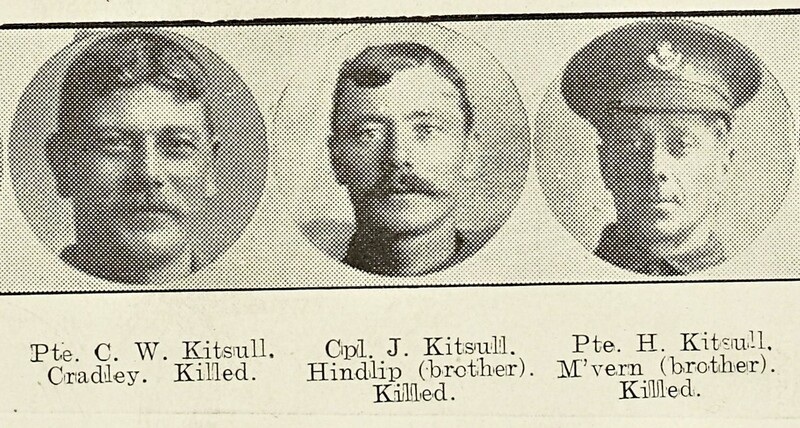 Two of his brothers were killed in the Great War and one brother fell in the Boer War ; those killed in the Great War were Charles Henry Kitsull of Cradley and John Kitsull of Hindlip. The regimental history states that during the period the 1st KSLI held the trenches in the right sector of the Brigade front between Loos and Hulluch (3rd May to 11th May) “the enemy were active with trench mortars and aerial darts”. It is likely that George Kitsull was a victim of this activity.